If you are a user of our site wanting to manage and size cables for your project, you can use our main application. To start the application, select 'CABLE ENGINEERING' from the main menu. 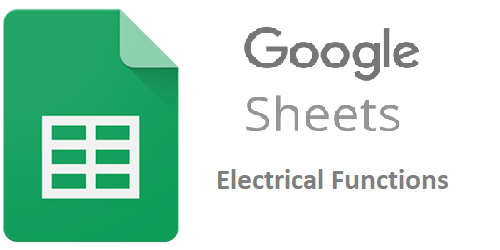 The resources on this page are intended for developers who which to add electrical functionality to their applications, websites and work processes. If you are a developer and looking for electrical resources to help, please feel free to get in touch with us to discuss any requirements. Our API is an electrical engineering data and calculation service, with a particular emphasis on cables. 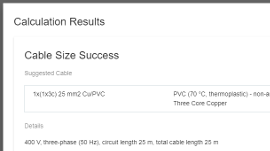 In developing myCableEngineering, we constructed a full API to carry out the data manipulation and calculations. Over time we are making this API publicly available to other developers. 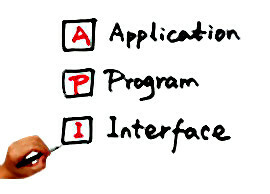 We are also committed to expanding the API to cater to our developer's electrical requirements. As a developer using our API, we take care of all the grunt work. You only need to collect the inputs, call the API and display the results. The calculator is a downloadable website plugin. Developers can copy the files to their web-server and integrate the calculator into one of their pages with a few lines of code. The application itself is free, but it does require a subscription to our API service to function.